The Corsa is an important car for Opel. Its all-round appeal makes it Opel’s bestselling model – it’s the type of car that can take on many roles – a car for singles, for young families, a first car or a car for downsizers. 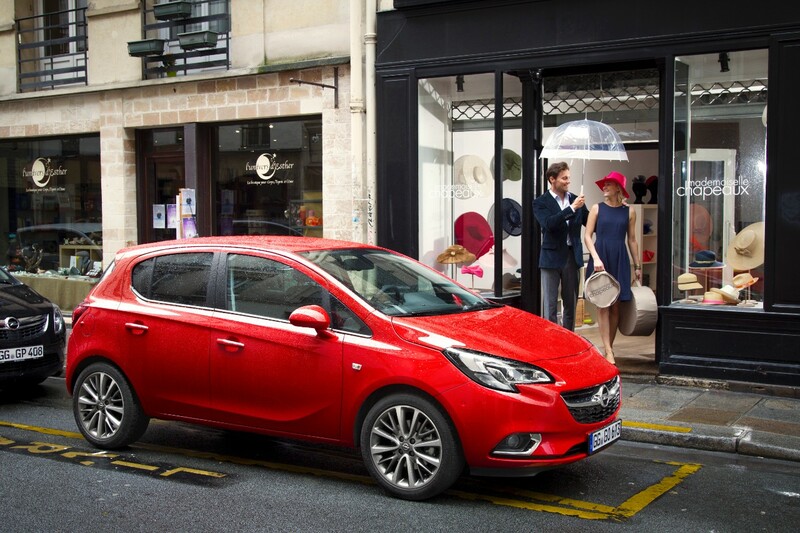 The new Corsa was unveiled just ahead of this year’s Paris Motor Show and the fifth generation of Opel’s evergreen supermini has just had its market launch in Ireland. I went along to the Irish launch to see the car for myself. 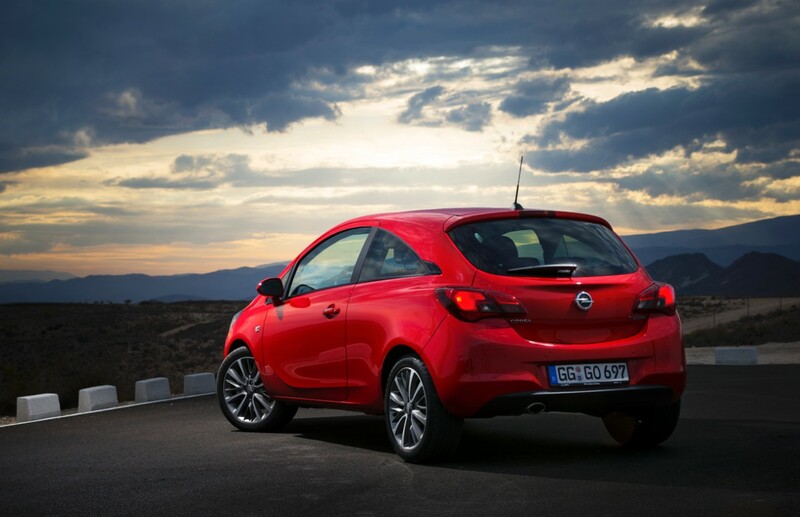 While there is nothing radical about the styling of the new Corsa, all the body panels are in fact new. To the untrained eye, aside from a new lower and wider grille, the fifth generation Corsa is identical to its predecessor. But look a little bit closer and you will see more sculpting along the sides of the car and those new bulbous ‘3D effect’ light clusters at the back combining to give the Corsa a more chiselled look. The 5 door sacrifices some style for the practicality of rear doors and a higher roofline to the rear of the car, but the 3 door is particularly sporty and stylish. The ‘newness’ of the Corsa may not be immediately obvious from the outside, but it certainly is inside. There is a new dashboard and centre console with an interesting mix of surfaces and an appealing curvy design. It’s modern and sophisticated and particularly impressive with the 7” touchscreen fitted as part of the Intellilink infotainment upgrade (standard on higher trimmed models). There are improvements under the skin that promise to make the Corsa better to drive. There is a new chassis, new damping characteristics for more comfort, new steering geometry and a speed-sensitive electric power steering system, and new transmissions. 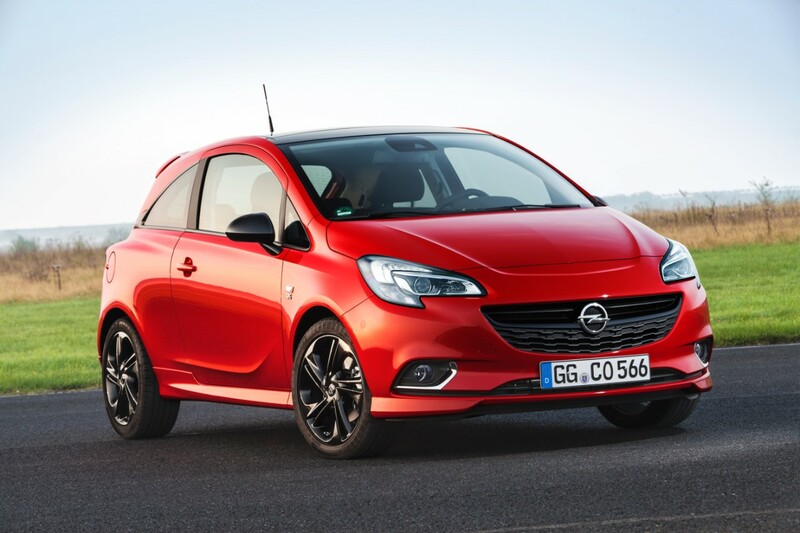 One of the most exciting developments for the new Corsa is the introduction of a new turbocharged petrol unit. Opel is following the trend for squeezing more power and economy from a small engine with their new 1.0 litre turbo petrol engine. It comes in two formats (90bhp and 115bhp) but its availability is model specific. In the sporty 3 door Limited Edition model, it comes with 115bhp and returns up to 58mpg and road tax is €200 per year. The new turbo engine is also available in the five door premium SE model in a 90bhp variant and will cost €190 to tax per year, returning 64mpg. Other engine options are the existing 1.2i (70bhp) and 1.4i (90bhp) petrol engines, and the 1.3 CDTi diesel in 75bhp and 95bhp variants. What’s new Corsa like to drive? There was a selection of Corsas to drive at the launch with various engines and trim levels. Early indications would suggest the new turbo engine is a peach, nippy and refined, but it is more expensive than the other engines in the range. I drove it in both the 90bhp and 115bhp variants but they both felt equally capable. Aside from the new engine power casting a warm glow on the new Corsa, it seems like a very capable little car and on the launch it transitioned seamlessly across a variety of roads from motorway, city, and more rural roads without any screams for a breather. It was comfortable for driving and for being a passenger in, with good space front and rear. The trim levels are S, Excite, SE and Limited Edition, the latter which is a sporty 3 door model. Prices start at €14,895 for the entry level 3 door model in S trim with a 1.2 litre petrol engine. At the launch I got a closer look at the SE trim and the Limited Edition model. SE has a smart feel with nice seat covers and black and grey interior and pretty much all the equipment you will need. Limited Edition is just gorgeous, inside and out. There is a swathe of gloss black across the dash and a red strip integrated into it to match the sporty character of this OPC-inspired model. It’s also the most expensive 3 door model in the Corsa range at €19,395. Interior of new Corsa is just gorgeous – especially in Limited Edition trim with swathe of gloss black and go-faster red strip! Opel Ireland expect Excite trim to be the bestseller here and the spec includes alloy wheels, front fog lamps, Bluetooth, steering wheel mounted audio controls, cruise control, LED DRLs, leather covered steering wheel and height adjustable driver’s seat on top of standard equipment like electric front windows and door mirrors, and hill start assist . Intellilink, Opel’s infotainment system with digital radio, USB and Bluetooth with voice control, comes as standard on SE and Limited Edition trim. While I think the new grille design is a great addition to the new Corsa, I would have liked to have seen a little more adventure in the styling of the rest of the car. But I can’t fault the Corsa on the smart new interior and first impressions would indicate that this little German model is now an even better all-rounder than before.